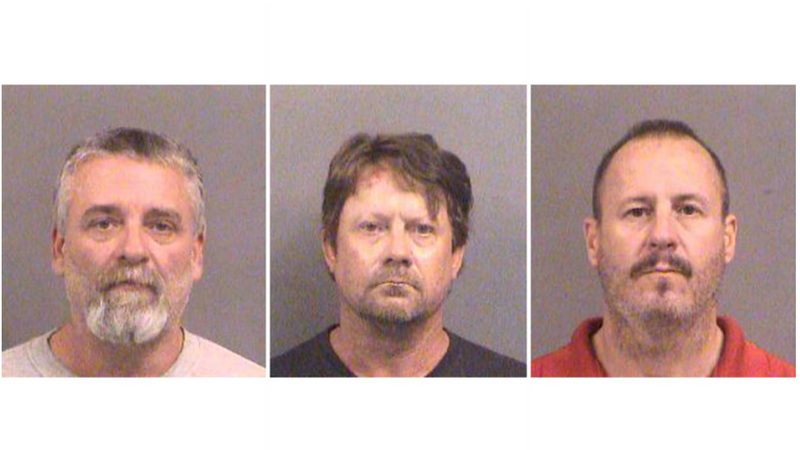 After a four-week trial, it took a Wichita, Kan., jury one day to convict three white dudes who watched too many episodes of The A-Team of hatching a convoluted plan to kill government officials and bomb a Garden City, Kan., apartment complex where Somali Muslims lived. A federal jury found Curtis Allen, 50; Gavin Wright, 49; and Patrick Eugene Stein, 49, all guilty of one count of conspiring to use a weapon of mass destruction and one count of violating the housing rights of their targets, reports KCUR. Wright was also convicted of lying to the FBI, while the jury failed to convict Allen on a lesser charge of impersonating the Sesame Street character Bert. Calling themselves “the Crusaders,” the three thin-lipped stooges belonged to a militia group called the Kansas Security Force and planned to bomb the apartment complex the day after Donald Trump was elected in order to give America a “wake-up call.” The buildings housed more than 100 people, mostly African immigrants. The residents used one of the apartments as a mosque. Luckily, one of the members of their militia group, Dan Day, went to the FBI and recorded hours of conversations about the plot to park explosive-laden trucks laced with ball bearings and razors at each corner of the complex, hoping to kill everyone inside. Defense lawyers for the team of right-wing terrorists said that the dim-witted trio only talked about committing the crime, arguing that their conviction would be a violation of their First Amendment rights. Plus, from the looks of this group, I wouldn’t trust them to build a bookshelf from Ikea, much less a bomb. “The only good Muslim is a dead Muslim,” one of the men can be heard saying in the recordings. According to NPR, the men also discussed plans for killing Barack Obama and members of Congress. The men will be sentenced in June to a federal facility, where they will likely get many opportunities to meet more Muslims. Keep your chins up, guys. Well, not Allen, unless someone has one he can borrow.